Each long legislative year, which is every other year, OCEANetwork encourages awareness of and education about homeschooling by establishing Home Education Week in Oregon. We apply for the Governor of Oregon to sign a proclamation recognizing the many benefits of homeschooling to families and communities in our state. 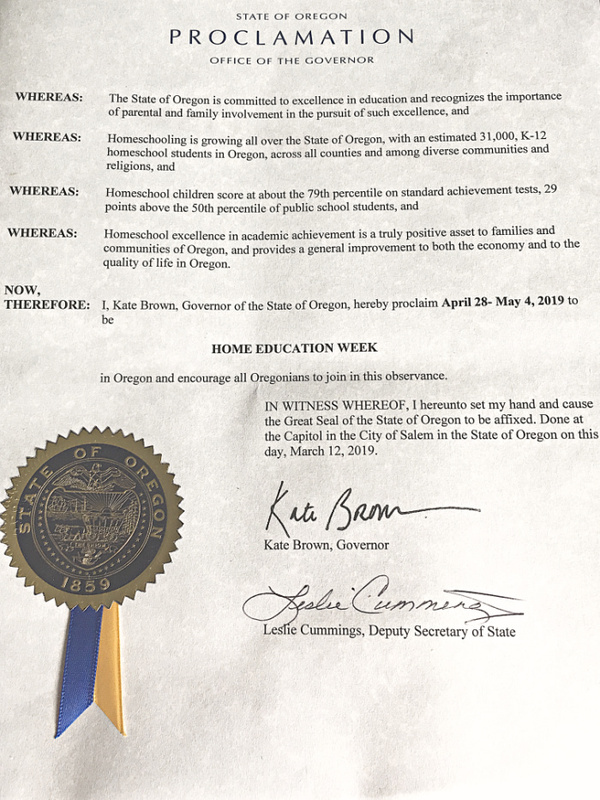 OCEANetwork obtained the first Home Education Week proclamation in Oregon in 1993 signed by Governor Barbara Roberts. Governors have been proclaiming Home Education Week in Oregon since then. The latest Home Education Week proclamation was issued in 2019 and declared Home Education Week to be April 28 – May 4. It was signed by Governor Kate Brown. 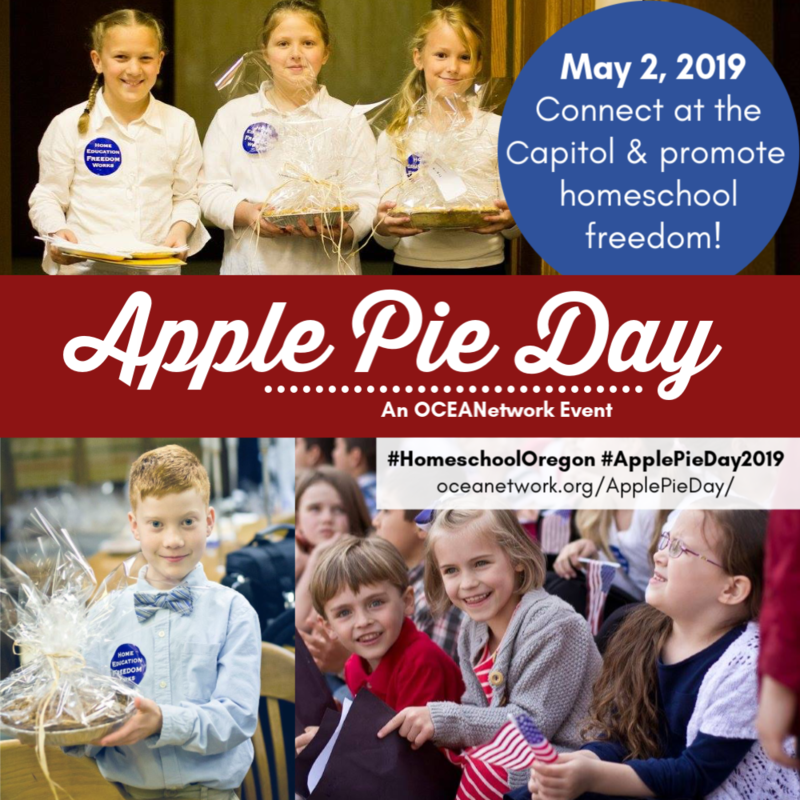 To celebrate Home Education Week, OCEANetwork hosts Apple Pie Day, a statewide event where homeschoolers from across Oregon gather at the Capitol. It has become a meaningful tradition that not only is a great field trip for homeschool families, but helps provide an easy way to begin establishing relationships with legislators that are so essential to protecting and expanding homeschool freedoms in Oregon. Join us for Apple Pie Day on May 2, 2019, and celebrate Home Education Week with Oregon homeschoolers! – Connect with other homeschool families from across Oregon. – Experience the Capitol and learn how the legislature works. – Join the noontime rally with speakers Jay and Heidi St. John! – Listen to or participate in the statewide homeschool choir. Click here to read more about Apple Pie Day and see how you can participate.